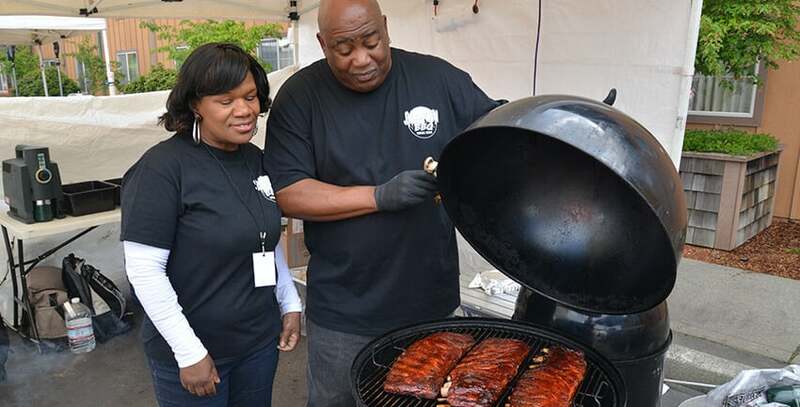 To register as a team, please download our 2019 BBQ Team Registration. The entry fee s is $275.00 per team. To be eligible for the grand prize, you must compete in the four main categories. Categories are: Brisket, Pork, Ribs, Chicken and (optional) Mac N’ Cheese. Competitors will have the opportunity to sell 2 oz. sample portions on Saturday, May 25, from 12:00 p.m. – 6:00 p.m. and on Sunday, May 26 from 12:00 p.m. – 4:00 p.m. Samples can be any barbecue themed item. 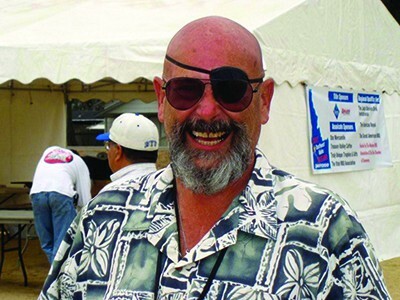 On Sunday, May 26, teams will have a chance to compete in the Jim Monihan Mac N’ Cheese challenge in honor of our good friend and BBQ aficionado, Jim Monihan, of Privateer Productions. The contest is free to enter and will be turned in, in a KCBS format for “anything goes”. Judging will take place on Sunday, May 26 at 2:00 p.m.
Jim Monihan loved Mac ‘n Cheese almost as much he loved the BBQ community. Following the judging on Sunday, May 26 guests can sample the Mac N’ Cheese from each competing team from 2:00 p.m. – 4:00 p.m. Competitors may begin setting up in their designated space after 2:00 p.m. until 7:00 p.m. on Friday, May 24, 2019. Competitors must be completely set up and have all vehicles removed by 11:00 a.m. on Saturday. Tear down is on Sunday, May 26, 2019 from 5:00 p.m. to 9:00 p.m. No tear down is to occur before that time for the safety of guests at the event. Hotel rooms are very limited and are first come first serve! To receive the special rate, guests simply need to call The Mill Casino Reservation Center at call 800.953.4800 or 541.756.8800 ext 3 and inform our reservation agents that you are a competitor.